This book has been here since 1955. And it’s been one of my favourites since…well…let’s just say sometime in the early 70’s. 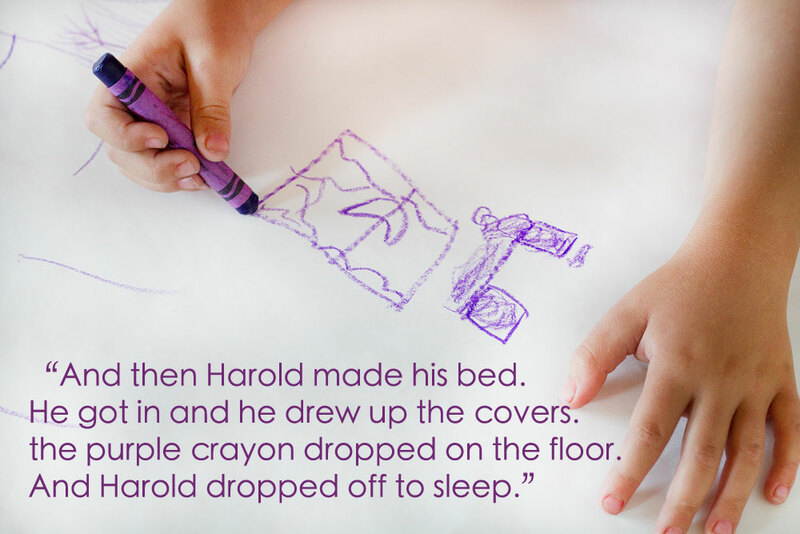 The enduring popularity of Harold and the Purple Crayon reminds us that a good book doesn’t need a whoe lot of bells and whistles, or a lot of colour. 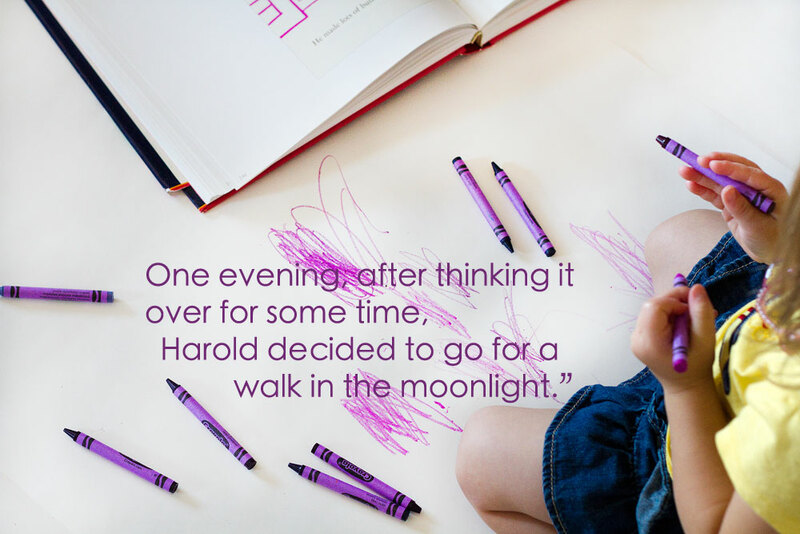 This story lives on in our imaginations because Harold does what we all wanted to as children. Harold has the magical ability to draw pictures that become just what he needs at that exact moment. 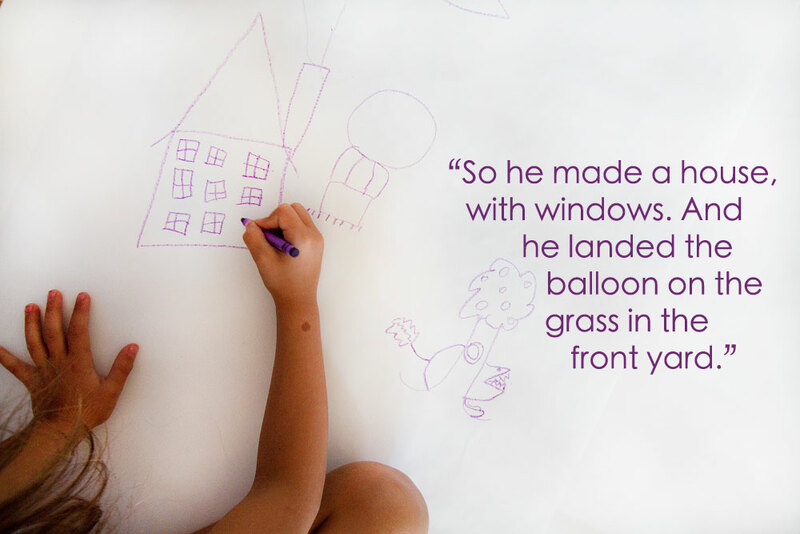 His imagination empowers him and keeps him safe. 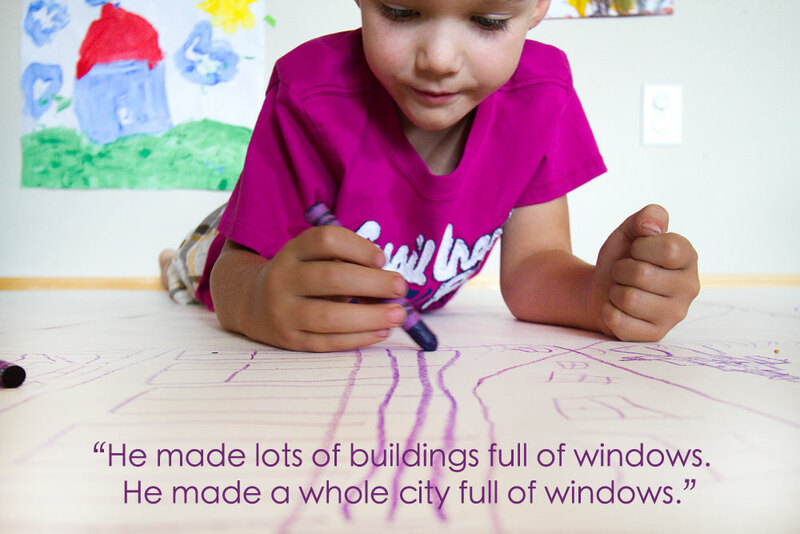 He represents every child…he creates and he makes things happen for himself. I read this book to the smalls and they were captivated…on the edge of their seats as Harold drew himself from one adventure to the next. They loved to see the moon in every drawing…it was a symbol of security to them as much as it was to Harold. It was something they could see and point out no matter what trouble Harold was finding himself in. “There’s the moon! There’s the moon!” They would all shout it out on every page! 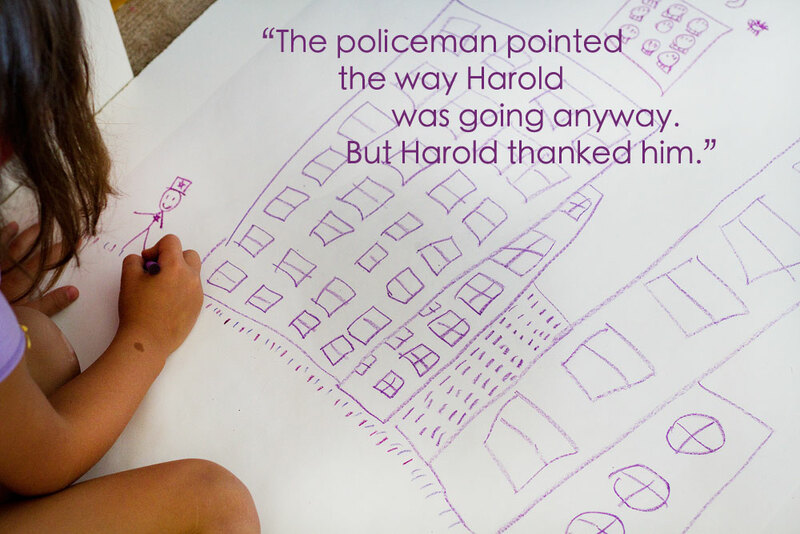 When we finished reading the book, we talked about all the things Harold and drawn and seen on his adventure back to his bedroom. They remembered them all. 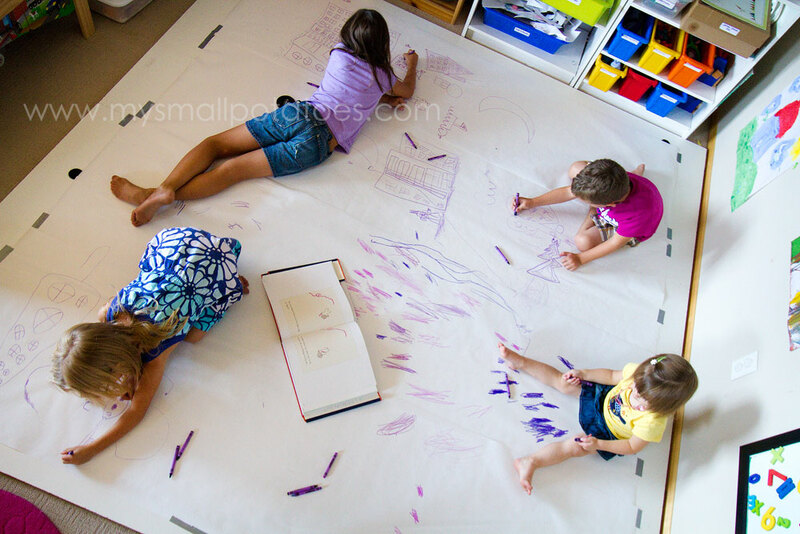 The whole afternoon was spent drawing on the art room floor. 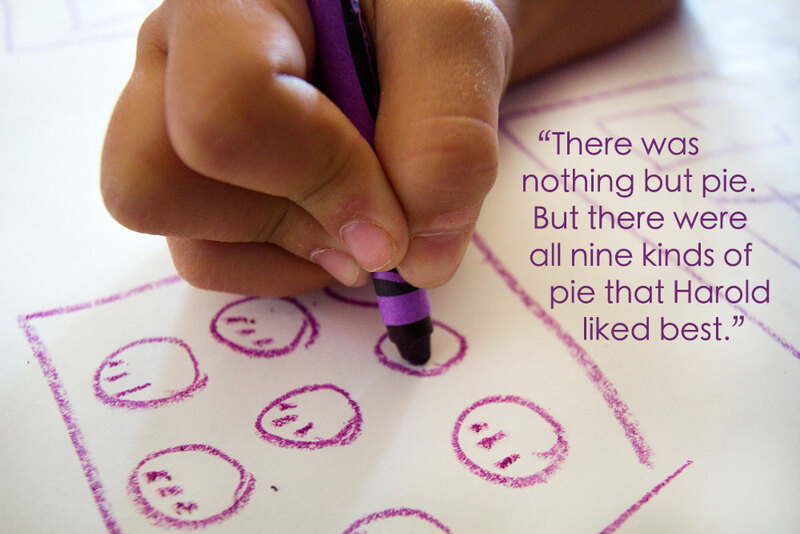 The smalls would come back to the book every once in a while to see if they’d forgotten anything… Some of them even tried to sound out the words and read it themselves! It warms my heart to see kids reading. It especially delights me when I see them reading books that I read and enjoyed as a child because I know how thrilled they are with each word and each illustration. I remember. 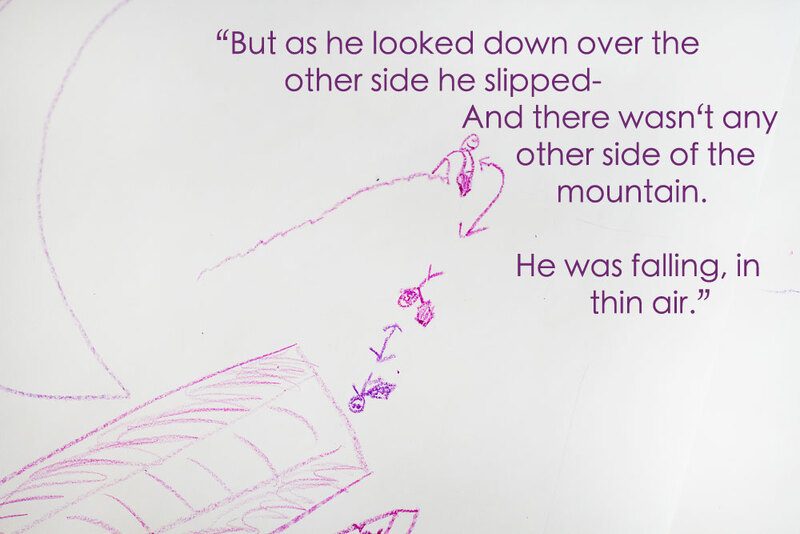 Just as this book is simple yet powerful, so was this activity. 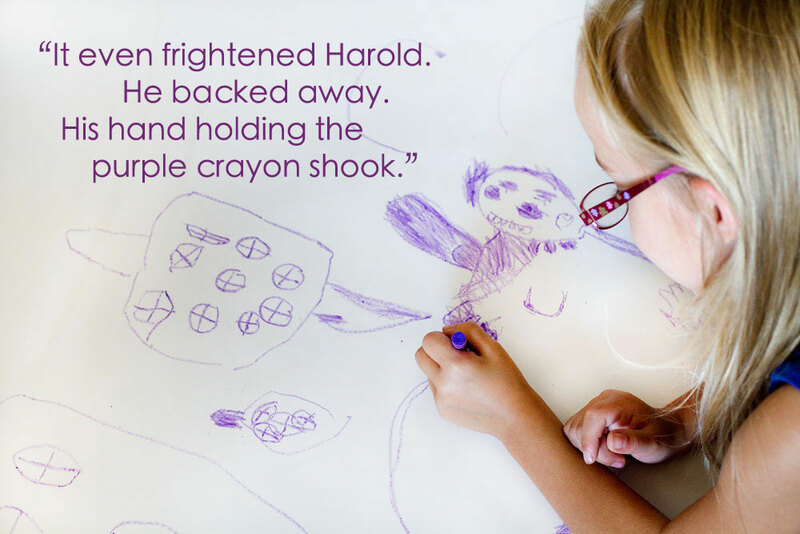 The smalls were happily engaged in their own “life-sized” adventure with a purple crayon…just as Harold was. Now it’s your turn for some adventure! It’s time once again for the Weekly Kid’s Co-op! Link your kid-friendly activity up below, or just browse around and see what adventures appeal to you and the smalls in your life! Have fun!! What a great idea! 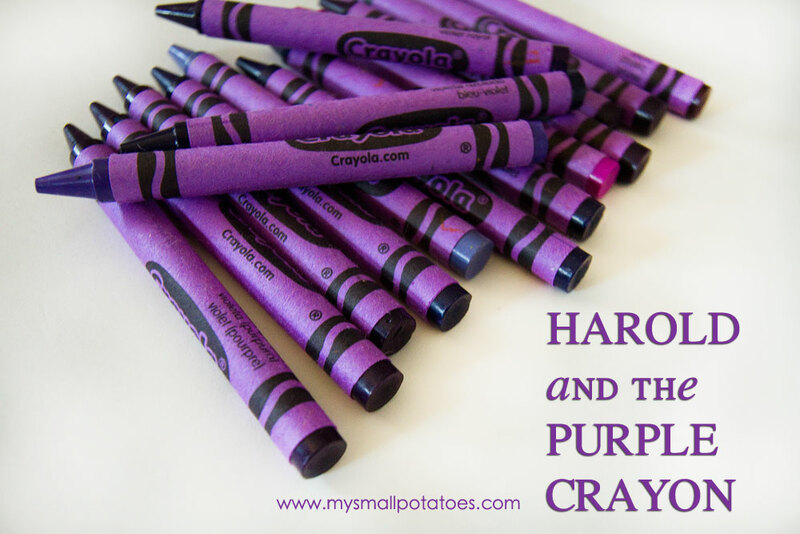 I love Harold and the Purple Crayon, and this activity looks so fun and easy. Would you mind if I posted a link to your post on my blog? 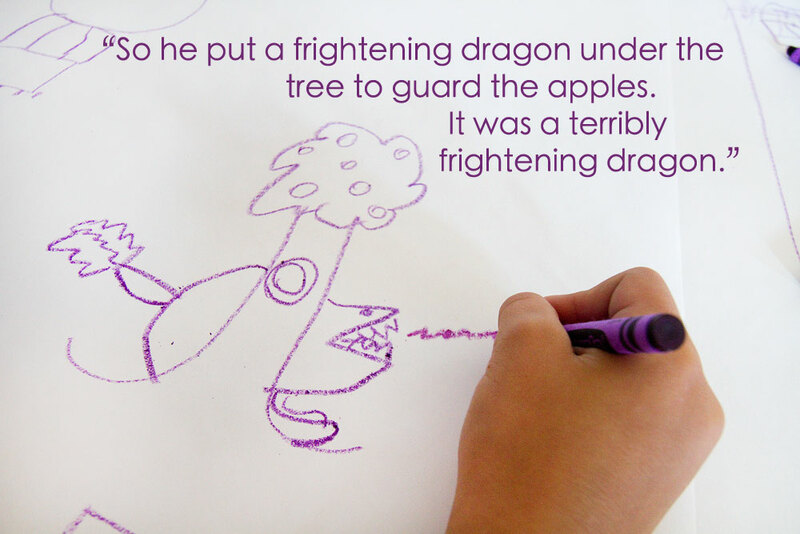 I write reviews of children’s books and I think my readers would enjoy hearing about this. Thank you! And I don’t mind at all! Thanks for sharing! This is such a nice idea! I notice before that you put 2 melamine boards to protect your carpet(I have carpet in my dayhome as well) if you don’t mind me asking,how did you attached them to the floor? This idea is wonderful. I love the vivid photographs. It just so happens, purple is my new favorite color. Thank you very much! I have a lot of purple lovers here, too!! Reblogged this on rozpusc wlosy kobieto. Great photos and I LOVE the simplicity of the project. 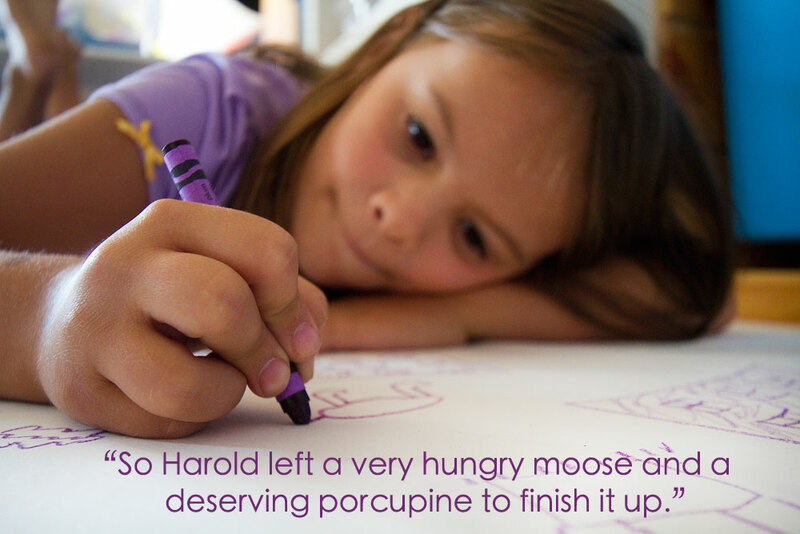 Harold and the Purple Crayon is one of my favorite children’s classics. I can’t wait to try this with my boys. Shared on my FB page too. i can’t tell you how much i love the paper covering the whole floor. Very rarely do i see someone’s childcare and think I wish I could send my Goblin there, but yours is one.